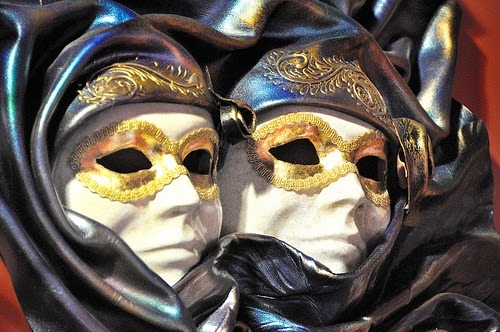 Rethinking Faith and Church: Lent: When Mardi Gras Gets Religious? Lent: When Mardi Gras Gets Religious? Rarely have we approached an Easter season whereby I do not hear someone speak of “giving up something for Lent.” I must confess that I’ve never understood that religious self-sacrificial custom. What am I giving up for Lent? Really? I’m a Christian. My Mardi Gras is Easter Sunday, my Lenten season is 365 days long. The only thing I want to give up is any semblance of the idea that I can still earn brownie points with God. My Jesus already paid it all. If you know French you know that the word for “Tuesday” is mardi, and the word for “fat” is gras. Mardi gras means “fat Tuesday.” It is the last day before what is called Lent. On that day there are thousands of people who make carnival, and drunkenness is rife in many places. “Carnival” is of Latin origin. You have heard the word carne in the Spanish menu, chili-con-carne, chili with meat. The latter half of the word val you know well from the high school graduation where the valedictorian speaker makes his speech. Carnival, literally, means “farewell to meat.” The unregenerated world with its idea of self-inflicted sufferings in some sort of payment for one’s own sins knows that it is about to go into a forty day spree of religious wallowing. So there is a gorging festival on fat Tuesday as they say farewell to meat. But the abstinence of most people is like that of little Johnny who, when asked what he was giving up for Lent, answered that he had decided to give up soap. I know it sounds harsh, but I cannot help but think that the way some folks give up things for Lent is like they’re slapping the face of God. Do we dare insult our God by trying to create our own pseudo and human payment for sin? Of course not! Yet that is the way I see some of these pre-Easter fasts. Why do we need to give up anything if Jesus truly has already paid it all? Who are we really trying to impress? Who are we kidding? Easter is about God’s plan to deal with man’s sin. It’s about the ultimate sin-sacrifice, Jesus paying my debt, paying for my sin with His own life. It’s about God on the cross … for me. Jesus said, “It is finished” (John 19:30). Talk about giving up something for Lent! The way I see it, when we hear some people religiously giving up something for Lent, maybe they aren’t so sure that “it is finished,” and just to be sure, it’s like they’re trying to add to or improve on the sacrifice. Granted, there are several things in my life that I would do well to give up, or at the very least, cut back on a bit. But to watch some folks tie such activity to Easter seems almost sacrilegious, unless it’s a permanent yearlong “giving up.” To choose to only temporarily give something up for Lent, and then when Easter comes, to go back to the old ways, almost seems like a mockery! Harsh? Maybe. Did I offend? Probably. However, I deliberately tried to paint an ultra right-wing picture of Lent in an effort to try and bring back some balance to what I see as a potentially dangerous left-wing religious exercise. For me it all comes down to a question of motive. Why are we giving things up? Why do some who go through this exercise leave us feeling that they’re trying to impress God? Ultimately what we’re talking about is fasting. The Bible endorses fasting, and it is counted among the spiritual disciplines. I certainly don’t have a problem with fasting, unless it’s done for show. I do have a problem with it when the whole exercise becomes a public display and it becomes mandated to a specific timeslot on the calendar. The bottom line is, “when I fast” is nobody’s business any more than it is their business when I pray; fasting is a private matter between the Lord and myself. “But when you fast, put oil on your head and wash your face, so that it will not be obvious to men that you are fasting, but only to your Father, who is unseen; and your Father, who sees what is done in secret, will reward you” (Matthew 6: 17-18). I guess what it all boils down to, and with this I will close this rant of mine, is that so much of what I see seems two-faced and double-minded (James 1:8). We run around in our Mardi Gras’ of over eating, over drinking, and questionable living up until the beginning of Lent, then we religiously go into a season of fasting and giving some up some of our indulgences of recent days, we pause for a brief observation at the cross of Good Friday, mellow out through the Resurrection Sunday, and then go back to the godless immorality that has become our lifestyle until we graduate at the next Mardi Gras. And so it all begins again. This should not be for a real child of God for whom the Lord Jesus died. My encouragement to you, my friend, is to rethink this ungodly tradition of revelry followed by pseudo-repentance, especially if that has been your practice. “Do not be deceived: God cannot be mocked” (Galatians 6:7). “Without holiness, no one will see the Lord” (Hebrews 12:14). Even now my heart grieves for those who think they’re saved because of their religiousness, but to whom the Lord Jesus will one day say, “I never knew you” (Matthew 7:23). Oh, my dear friend, may you never hear those horrible words from our Lord. Let’s lose the religious games. “Not everyone who says to me, ‘Lord, Lord,’ will enter the kingdom of heaven” (Matthew 7:21). What am I giving up for Lent? Let’s not go there; I want more than that. I want Jesus and Him alone … everyday, and not just during the prescribed season of Lent. Peace. I used to joke that I'm giving up sobriety and moderation for lent. Thanks again for a thought provoking read. Church Discipline: The Road to Unity? Concerned Over the Collar Size of the Whale?